Established in 1992, PT. 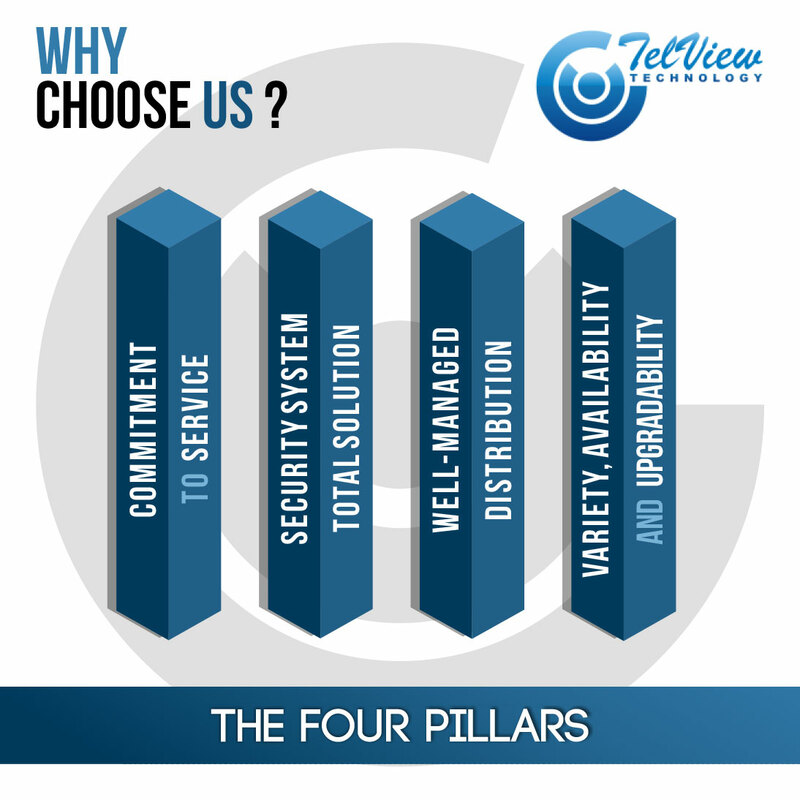 TelView Technology is one of Indonesia's first and leading electronic security solution providers, specializing in CCTV, Alarm, and Access Control Systems. Aside from providing only high-quality tech-forward products, the company is most of all notable in its commitment to service, well-managed distribution, as well as stock variety and availability. With professionalism and integrity, PT. TelView Technology aims to be a one-stop electronic security solution provider that forges long-term partnership with its customers. Built upon character, we aim to be a world-class company that plays the lead role in building a safer Indonesia. To help millions who desire a safer world, by providing quality products, services and cost-effective integrated security solutions with outstanding professionalism and integrity. With excellent service, well-distributed products, and open and competitive prices, we help to alleviate customers' worries and save their time on decision-making. We do not only sell products; we provide solutions especially tailored for you. We are not just box sellers; we are your long-term consultant and partner for your security needs.